Who doesn't love pizza? Not you, most probably. 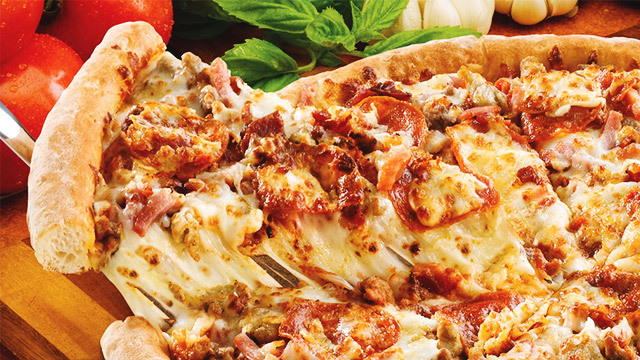 The universal fact is, pizza = happiness. Which is why, whenever an unli-pizza promo comes along, you can expect us and our tummies to take notice. Speaking of which, the good news: Two restos are offering just that this month! 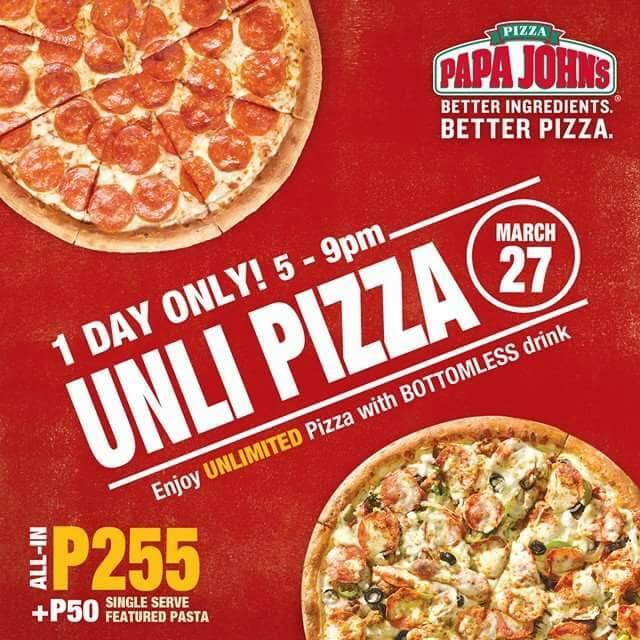 We've got Papa John's Pizza once again having its Unli Pizza promo on the 27th, from 5 p.m. to 9 p.m. For P255 per head, you can stuff yourself silly with their cheesy, tomato-laden masterpieces all you want. Add P50 for a single-serve featured pasta to seal the deal. Wait, the package (available for dine-in only and in all outlets except for the Julia Vargas branch) also comes with a bottomless drink! How's that for a bargain? 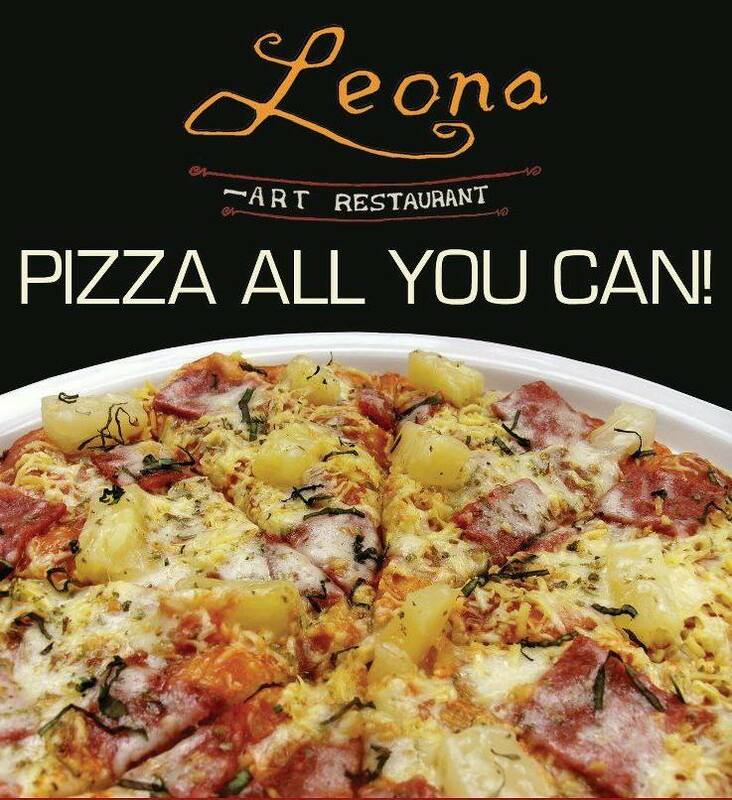 Meanwhile, Leona -Art Pizza, a must-visit resto offering Italian and Mexican dishes in Teachers Village, Quezon City, also brought back their own (and slightly cheaper) unli-pizza promo. P199 is all it takes for you to enjoy unlimited servings of their Classic Pizza line (Pepperoni, Three Cheese, Onion and Pesto, Hawaiian, and Ham and Mushroom flavors). You can drop by today as the promo's ongoing until the end of April (available Monday to Thursday, 2 p.m. to 5 p.m.).